Are you a member of Ebates? It’s the best cash-back rebate program for online shopping from 1,000+ stores. I’m thanking my readers who are Ebates members by giving away a $500 QVC Gift Card that can be used online. If you shop through Ebates at QVC you earn 3% cash back. QVC sells everything from KitchenAid Professional Stand Mixers to laptop computers. Please complete the entry form below to enter this giveaway. You need to be a member of Ebates in order to enter this giveaway. I will verify that the winner is an Ebates member before making the winner’s announcement, so please use the email address that you use for your Ebates account. The winner will receive a $500 QVC gift card from Freebies 4 Mom by email that can be used online. This giveaway closes at 11:59 pm Sunday, March 28. If you can’t view the form, please visit the giveaways on my Freebies 4 Mom blog. If you have any problems filling out this form, please email me with the subject “QVC Giveaway”, your first and last name, and tell me the email address you use for Ebates. Thanks for entering and come back after Sunday, March 28 to find out who won. Freebies 4 Mom Giveaway Disclosure: I sponsored this giveaway myself and obtained the $500 QVC gift card by redeeming my Swagbucks. This giveaway is not sponsored by Ebates or QVC. For more information about how reviews and giveaways are conducted on Freebies 4 Mom, please read my Disclosure Policy. Ebates is AWESOME! 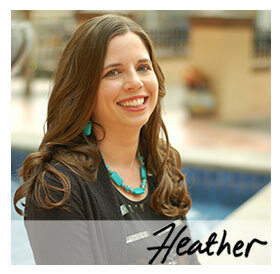 Cant thank you enough for giving the scoop on this Heather! Love it! this would come at a perfect time. hope this changes the bad luck streak i've been having…fingers crossed. love this site btw! Thanks so much for doing this! This is fantastic!! just entered…fingers crossed…not sure what I would get…so many possibilities! I could use some new cookware and a steam cleaner for my carpet. Using Ebates is very simple. Here's what you do:1. Visit Ebates.com and login2. Search for your store (type it into search field at top right)3. Start shopping at your online store, Ebates tracks your purchase so they can give you your cash backVisit the "Help" section of Ebates to ask more questions!Ebates does not offer cash back on Amazon purchases. Do you have some sort of tutorial on eBates? How can I maximize savings? Does it work wih Amazon? Thanks! How often can we enter? thanks for the opportunity! Winning would be awesome! I just signed up for eBates and entered your giveaway–very generous! Thank you!! Please email me if you have any problems viewing the entry form! I do not accept entries by leaving a comment on this post. What a wonderful give away!!! Your pretty wonderful too!!! Thank you. This is a great giveaway. Thanks so much. Also, thanks for steering me onto ebates. I signed up and am on my way to getting cash back!!! Thanks again for another opportunity to win an AWESOME prize! I love QVC! wowzers! thanks for the giveaway and all of the hardwork that you do for us;}i greatly appreciate it!! I'm sure you've gotten lots of people to sign up so far. Good for you!! Ebates is great. I wonder if you will have enough to win the trip contest they are having right now. I hope so. Please let us know if you do!! I would LOVE this – I could get a Wii/Wii Fit and start Christmas shopping early!! Wow, I think I just entered how great would this be?!! Love qvc & ebates both.